Rodrigo Manzanas is working as a Science Officer at the WGI TSU since March 2019. With a first focus on the development of the Atlas, he is in charge of consolidating the software and tools needed for the long-term reproducibility of some of the products generated for the AR6, promoting their integration with the IPCC Data Distribution center (for data provenance aspects). These activities will be later extended to other chapters, increasing therefore transparency and consistency across the report. In addition, he also provides scientific support and participates in events to promote the IPCC outreach. Before joining the IPCC WGI TSU, Rodrigo has worked at the University of Cantabria (UC) and the Institute of Physics of Cantabria, in Spain. During this stage, his research was mainly focused on the application of different data mining and machine learning techniques for statistical downscaling of seasonal forecasts and climate change projections, which has led to the publication of over twenty papers in prestigious journals in the field of Atmospheric Sciences. Part of this work is gathered in his PhD Thesis, which has been recognized with the UC Extraordinary Award for its quality and the UC Social Council Award for its social implications. Likewise, Rodrigo has also worked as an international consultant for the Food and Agriculture Organization of the United Nations (FAO) in several occasions, focusing on the assessment of the impacts of climate change on agriculture and food security in different developing countries, where he has been actively involved in different activities for capacity building. 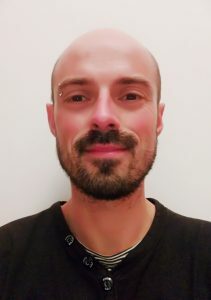 Finally, Rodrigo combines his research activity with a position as Associate Professor at the Department of Applied Mathematics and Computer Science at the University of Cantabria.